Welcome to Relais d'Alsace Puilboreau - La Rochelle if killed on the commercial area of BEAULIEU - axis -Nantes Bordeaux, near La Rochelle and the Marais Poitevin, not far from the Ile de Ré. In a statement decor and rich colors to mark the authenticity, warmth and friendliness, our team welcomes you 7 days on 7. A diverse and generous cuisine you will discover our region. Come taste our seafood platters, fish, coquilles Saint-Jacques, frog legs, snails ... through Alsace with the inevitable flammenküche, sauerkraut sea or sauerkraut with her knuckle without forgetting its cuisine traditional with a wide selection of meats, salads and a large variation of lunch formulas. Our facility is also open in the afternoon for a gourmet break bar-ice-bake pancakes. 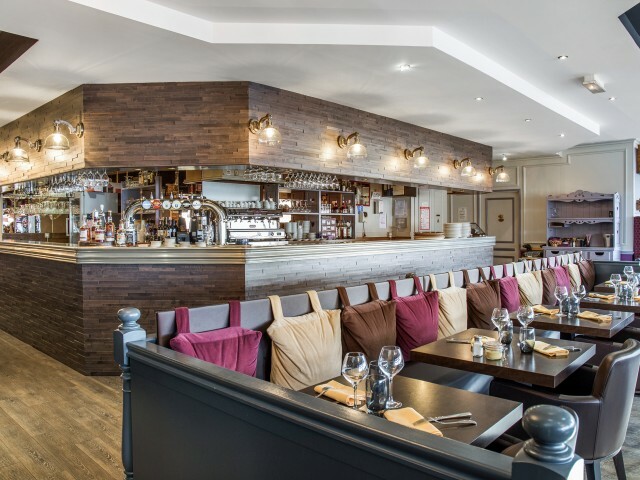 Feeling hungry after a late meeting, a sporting event, business lunches, family or friends, our restaurant offers a wide range of opening hours. TABLES LIVING LARGE OPEN TO GOOD!